Every once in a while, an old design needs an update. Sometimes it’s small, and sometimes it’s big. 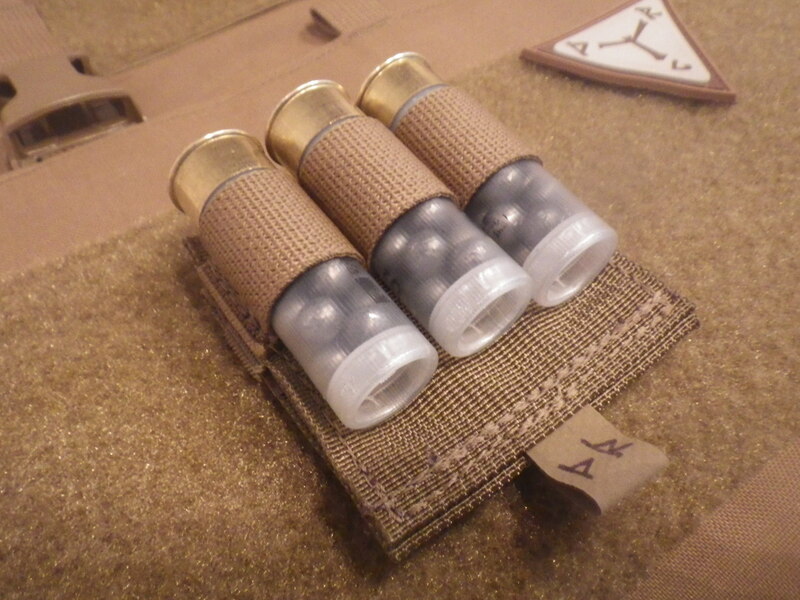 We think the new D-Rmor Gear HatchBack Shotshell Card falls into the latter category. If you carry a shotgun and a plate carrier, you know that there isn’t very much love from the gear world. There are either cumbersome cards that don’t really fit, or bandoleers/slings with elastic that wears out and drops shells when you need them most. And then, you have the choice of either MOLLE, or loop backed carriers, but you have to choose one. -To enable the card to be used on either MOLLE grids OR loop fields. To address the first criteria, D-Rmor Gear created a card that utilizes 1″ Berry and IR compliant Nylon webbing, which firmly grips the shells, and will not fray, sag, or lose elasticity (like ALL elastic shell holders will with use). Is it more difficult to build? You bet. But once you try it, you will realize why it leaves elastic shell holders in the dust. The second criteria is where the HatchBack gets its name. 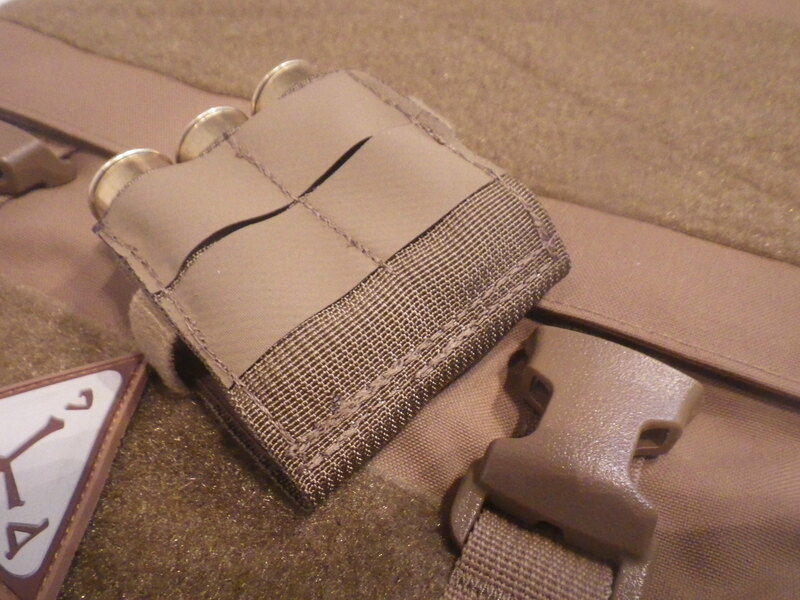 With the use of Velcro OneWrap(TM), the Hatchback lets the user go from MOLLE to loop field in seconds. 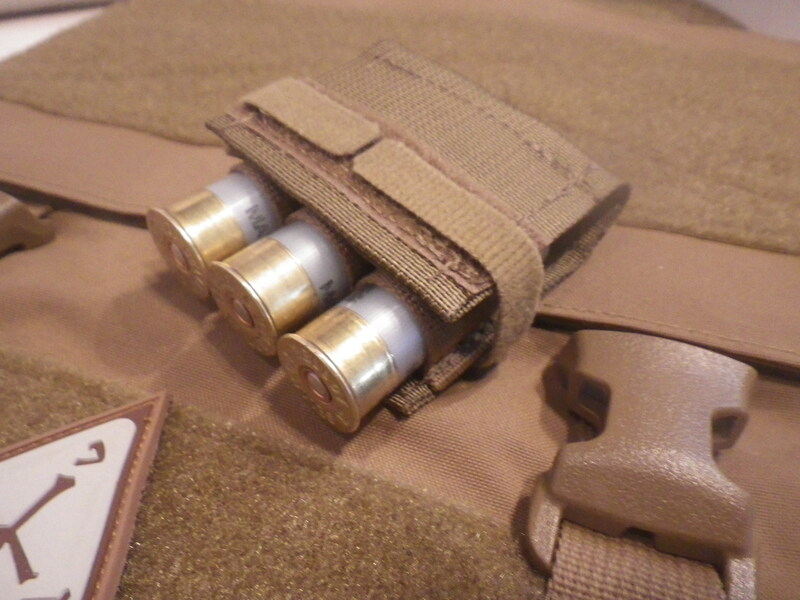 On MOLLE fields, a front flap protects the shells while keeping them at the ready, while for loop-field use, the shells are free to be used in either orientation. The final criteria is fulfilled courtesy of D-Rmor Gear’s revolutionary FragTuf(TM) construction methods. Using a dual-stitching method, we combine mil-spec Nylon AND mil-spec Kevlar thread into every critical seam, as well as incorporating Trelleborg AB’s rugged HANK material. No other shotshell card offers you the versatility, security, and durability of the HatchBack. Made with innovation and the absolute best materials and workmanship available. Plus, it comes with a lifetime, unconditional, fully transferable, no-BS guarantee. If you break it (and please tell us how you managed it! ), just get it back to us, and we will repair or replace at our discretion. Initially available in Black, Coyote, and Multicam, with more options planned. Pricing is $32, with a special pre-sale price of $26 until February 1st. Get your HatchBack, and show your shotgun some love. FLASH SALE! 10% OFF SITE WIDE! **NEW PRODUCT** FragTuf(TM) Enhanced Shotgun Cards!